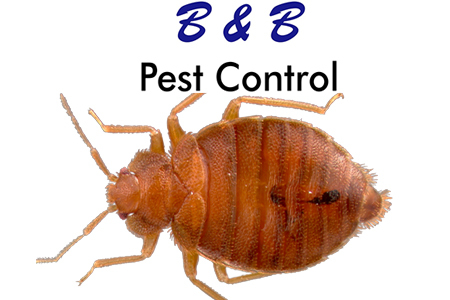 Here at B&B we are all about protecting our customers from unwanted pests, that is why we have made this list of 5 summer bed bug travel tips. Use these 5 tips to better protect your home, or business from bed bugs this summer. Don’t forget if you have any pest problems in the greater Boston area, and want fast reliable service contact B&B Pest Control today! Know How To Check – It’s important to understand how to check for bed bugs before sleeping, or staying in any room that’s not your own. Inspect the entire room before unpacking including the headboard, and furniture. It is also a good idea to pull back the bed sheets and check the mattress seems and box springs. If this all looks clean and no signs of bed bugs your off to a good start. Notify Management – If you do find bed bugs or any other infestation where ever you are staying make sure to notify the owner or management ASAP. Inspect Suitcases – Suitcases are prime ways in which bed bugs get into your homes so make sure to inspect them before bringing them back onto your property after a trip. Even if your hotel room is clean you can have bed bugs hitch a ride somewhere else along your travels so better safe than sorry. Always Inspect – I know this seems redundant but with how big of a problem bed bugs create once they infest something its worth taking the time to inspect items. Bed bugs are great hitch hikers and are always trying to start new colonies in new areas so be aware, and inspect all items brought into your home! Wash Clothing – Even if you didn’t wear certain items it’s always a good rule of thumb to wash all clothing you packed in your suitcase. To be extra careful you are killing all the organisms you brought home with you wash on hot and use extra hot dryer setting. Remember it is important that if you find a pest infestation on your property whether it’s your home, or business you must deal with it quickly with a licensed professional before it becomes too much. If you or someone you know is dealing with rodents or any other pests in the great Boston area contact B&B Pest Control today! See why for over 30 years so many in the greater Boston area have chosen B&B when they have a pest problem for their home, or business. Contact us today and find out the B&B difference for yourself!